A staple dish of Italian cuisine – ‘Pasta’ has a lot of varieties. According to Wikipedia, there are 100+ types of pasta, categorized by the size, the texture or by the method how the pasta is made. Some pasta varieties are uniquely regional and not widely known in India, like a Gnocchi and Ravioli. And these not-so-widely-known pastas are something that I crave for every other day. 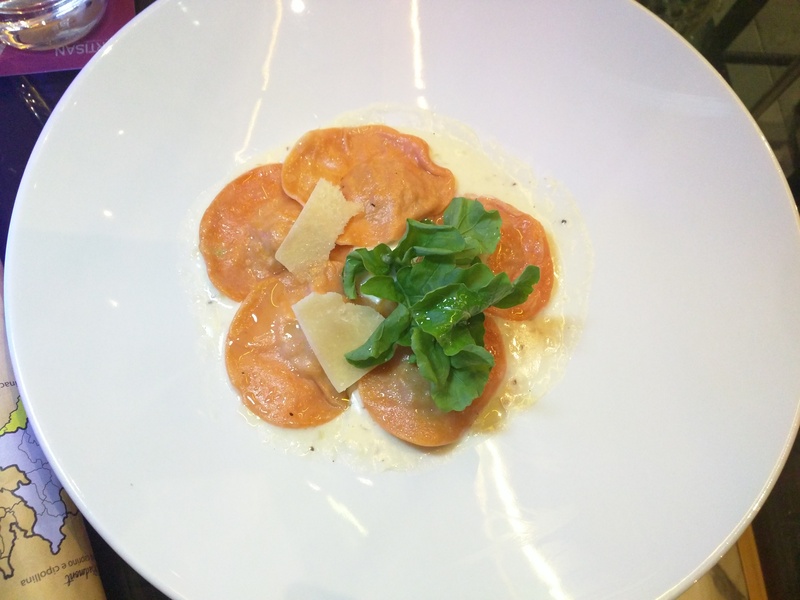 Sofitel Mumbai BKC has turned the spotlight on the pasta we all love – Ravioli! In the Ravioli Festival at the hotel, Chef Gaurav Bhatla is serving up delights inspired from eight different regions of Italy – Emilia, Liguria, Piedmont, Bologna, Apulia, Molise, Basilicata and Calabria. I went there on a Saturday evening and was pleasantly surprised by Chef Bhatla’s innovation. He had a story behind every dish he presented on the table that evening. All this with a warm smile. Similar to a Wanton in China or our very own Samosa, Ravioli (singular: raviolo) are a type of dumpling composed of a filling sealed between two layers of thin pasta dough, usually served either in broth or with a pasta sauce. I was all set for an epic Italian gastronomic journey. I left the menu decision on Chef Bathla, only condition was that I wanted to try both vegetarian and non-vegetarian options. First up on the table was the ‘Spinaci e ravioli di ricotta’ – Spinach and ricotta filled ravioli cooked in tomato & basil sauce. Originating from the region of Liguria, ravioli di ricotta are dumplings composed of a filling sealed between two layers of thin pasta dough. I particularly loved how Chef Bhatla played with spinach in this dish. 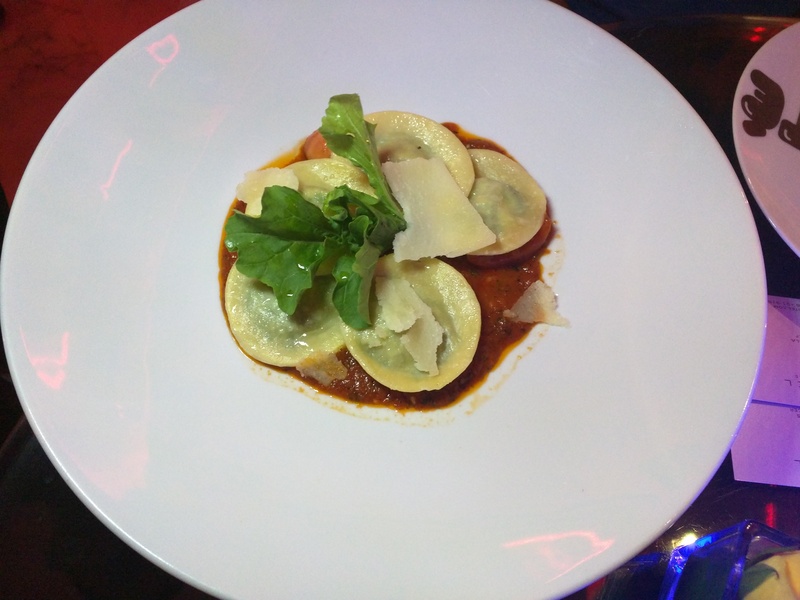 The tomato & basil sauce complemented so well with the spinach stuffed raviolis. This was indeed a good start and gave me a fair idea of the rest of the evening. Next up was the ‘Pollo e scamorza ravioli con timo cremoso e dolce cipolla sauce’ – Chicken and scamorza (Italian cow’s milk cheese commonly produced in the region of Calabria) filled ravioli with creamy thyme and sweet onion sauce. I love cheese in any form and this dish had loads of it. The chicken and scamorza cheese blended so beautifully with the creamy thyme and sweet onion sauce. I loved the sauce too, the subtle thyme-y notes in the creamy onion sauce tasted yum with the variety of breads that the Chef had served us. Next on the table was ‘Fagottini di zucca con salsa di burro e salvia’ – Butternut pumpkin and ricotta filled fagottini with sage butter sauce. This dish reminded me of my grandmother, the way she used pumpkin in a dish and I didn’t realize at all. This dish was exactly that. With the way Chef had made the pumpkin-ricotta filling, I actually asked the friend who was accompanying me whether there was actually pumpkin in the dish. 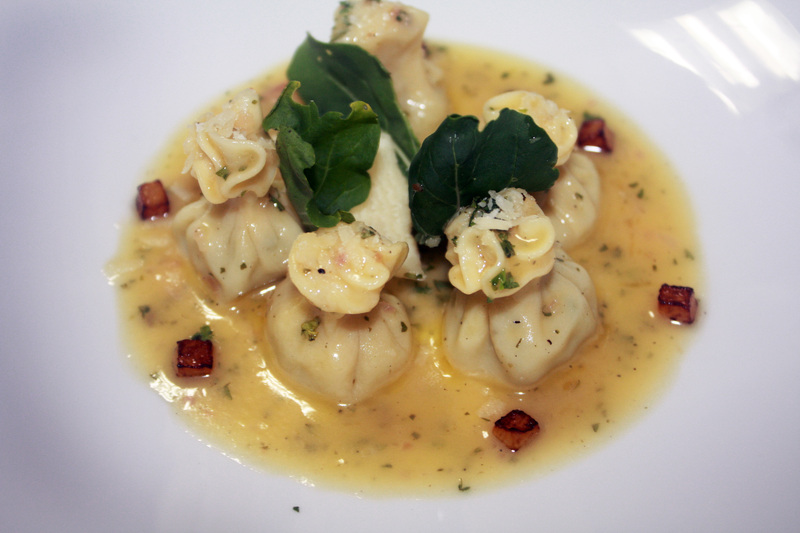 Next was the ‘Gamberi e finocchio tortellini con crema di pesce bisque’ – Prawn and smoked salmon filled tortellini finished with flavorful creamy seafood bisque. This was definitely one of my favorites, mainly because of one reason. If you’re a regular on my blog, you would have exactly guessed why – Seafood! With the strong flavors of prawns and smoked salmon trying to overpower each other, this was a complete flavor riot! and to top all this, Chef Bhatla’s pesce bisque’s (fish flavored sauce) freshness did wonders to the dish. If a seafood lover, this is a must have! 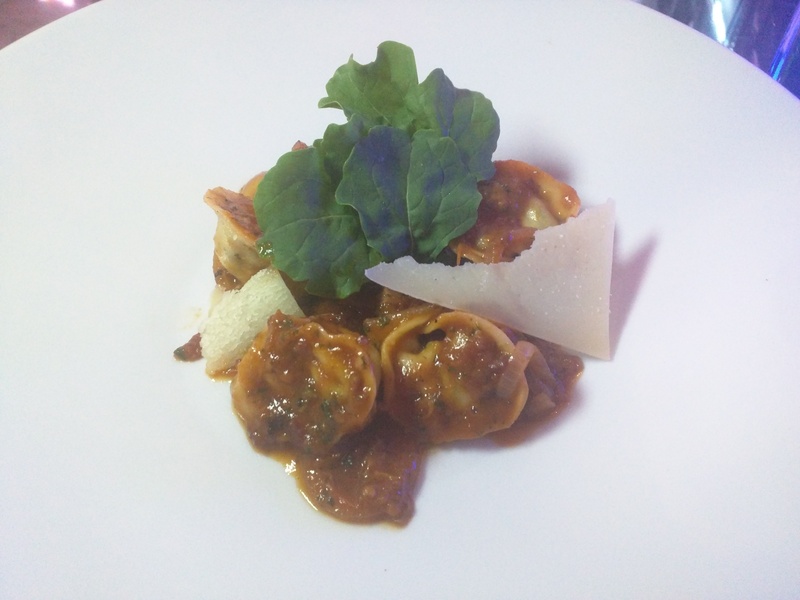 The final dish on our table was ‘Prosciutto, rucola appassito e mascarpone tortelli’ – Ham, wilted rocket & mascarpone filled tortelli with amatriciana sauce. Originally from the southern Italian region of Basilicata, Tortelli is a navel shaped stuffed pasta, similar to ravioli. You must definitely ask Chef Bhatla about the interesting story behind this pasta. Coming to the flavors, this dish tasted very chinese-y and was on the spicier side. 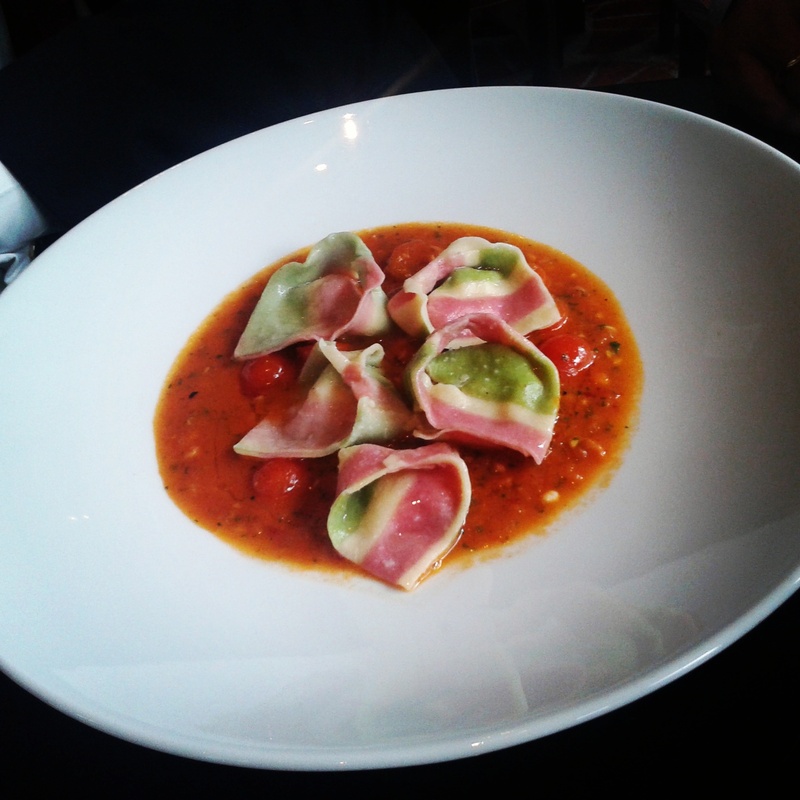 The tortelli’s filling was flavorful with ham, wilted rocket & mascarpone blended really well with each other. The highlight of this dish was definitely the sauce. All in all, if you want to try a type of pasta or just want to experience something new at a very reasonable pricing, this festival is a must try. The highlight of the ravioli festival was how Chef Bathla had innovated with each dish, blended ingredients which one will never think of. 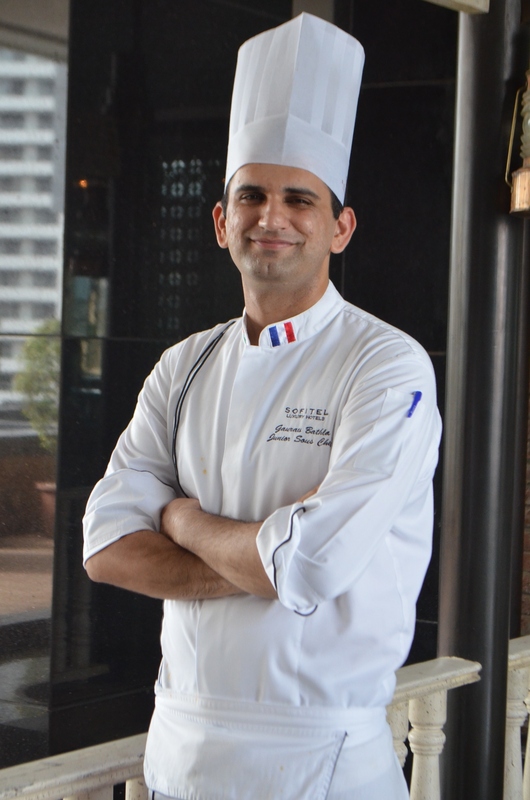 The festival is being hosted at Artisan, Sofitel Mumbai BKC and each dish (approximately priced at Rs. 825 – Rs. 975) on the menu comes with a wine pairing recommendation. The festival is on till 15th September, 2015. ← 5 Restaurants In Mumbai You Must Visit Tomorrow For Onam Sadya!